This chapter discusses the environment in which international marketing research is conducted, focusing on the marketing, government, legal, economic, structural, informational and technological, and environments.’ Whereas discussions of how the six steps of the marketing research process should be implemented in an international setting took place in earlier chapters, here we present additional details on survey methods, scaling techniques, and questionnaire translation. The relevant ethical issues in international marketing research are identified and the use of the Internet and computers is discussed. IBM with 2008 revenues of $103.63 billion, conducts an international tracking study twice a year in 14 different languages across 27 different countries in Europe, North and South America, and Asia. The basic purpose of the study is to capture trend data on mainframe computing. It samples one out of every six sites where an IBM Enterprise Server is in use. The respondents surveyed are those responsible for IBM acquisition decisions at their respective companies. They are asked about their installed computing equipment, their future plans for acquiring equipment, and their views on various vendors. The survey allows IBM to track how it is doing on an ongoing basis. The questions are kept broad and are not used to determine a deeper understanding of customer wants but instead only to track overall trends. The information collected via this tracking survey becomes part of IBM’s decision support system. Through secondary data analysis and surveys, Best Western has learned the sources of hotel business in different regions’ of the world and geared its marketing strategy accordingly (see the following table). For example, the chain emphasizes domestic business in North America, focuses on both domestic and international business in Europe, and emphasizes foreign business in the Far East, Australia, Africa, and the Middle East. The use of marketing research continues to prove successful for Best Western. Both these examples point to the fact that marketing research can contribute significantly to the formulation of successful international marketing strategies. The term international marketing research is used very broadly. It denotes research for true international products (international research), research carried out in a country other than the country of the research-commissioning organization (foreign research), research conducted in all or all important countries where the company is represented (multinational research), and research conducted in/across different cultures (cross-cultural research). 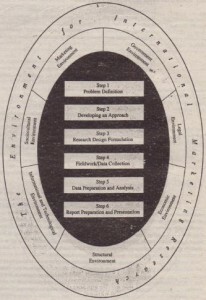 Conducting international marketing research is much more complex than domestic marketing research Although the six-step framework for domestic marketing research is applicable, the environment prevailing in the countries, cultural units, or international markets that are being researched influences the way the six steps of the marketing research process should be performed. 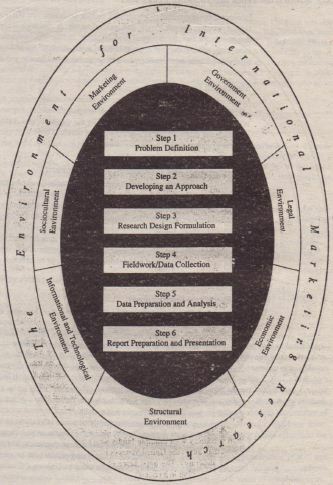 Figure 24.1 presents a framework for conducting international marketing research. An additional relevant factor is the government environment. The type of government has a bearing on the emphasis on public policy, regulatory agencies. government incentives and penalties, and investment in government enterprises. Some governments, particularly in developing countries, do not encourage foreign competition. High tariff barriers create disincentives to the efficient use of marketing research approaches. Also, the role of government in setting market controls, developing infrastructure, and acting as an entrepreneur should be carefully assessed. The role ot government is also crucial in many advanced countries, such as Germany and Japan, where government has traditionally worked with industry toward a common national industrial policy. At the tactical level, the government determines tax structures, tariffs, and product safety rules and regulations and often imposes special rules and regulations on foreign multinationals and their marketing practices. 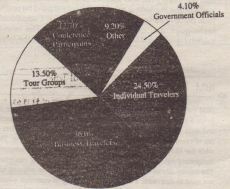 In many countries, the government may be an important member of the distribution channel. The government purchases essential products on a large scale and then sells them to the consumers, perhaps on,a rationed basis.